(Photo L-R: Dr. Euric Bobb, Chairman Methanol Holdings (Trinidad) Limited presents the cheque to Ms. Joanne Shurland, Principal of Bishop Anstey High School. Sharing in the moment are Anaya Price, Head Girl (from left) Jásher De Gannes, Deputy Head Girl and Shniya Hackshaw, Senior Prefect of Bishop Anstey High School. 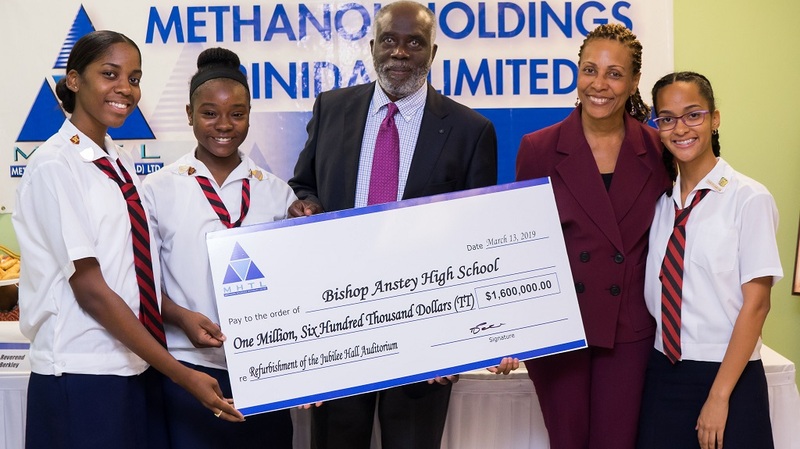 Bishop Anstey High School has received a TT$1.6 million grant from Methanol Holdings Trinidad Ltd (MHTL) for the repair of its Jubilee Hall. In a statement, the company said the project is a key initiative among activities planned to mark the school's centenary on January 13, 2021. Dr Euric Bobb, Chairman of MHTL, said the investment in education is of paramount importance in sustaining the business industry. “Investment in education is extremely important to the Proman Group and Methanol Holdings (Trinidad) Limited. 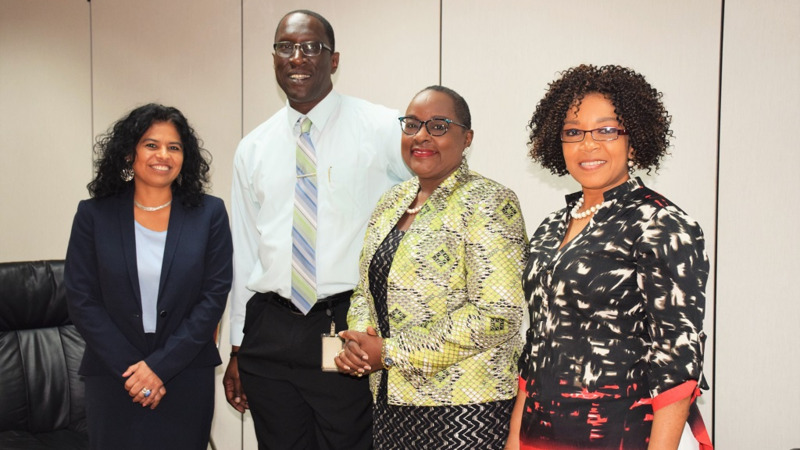 Bishop Anstey High School has been a pioneer in offering opportunities for secondary education to girls in Trinidad and Tobago Innumerable alumni of BAHS have contributed to enriching the society of Trinidad and Tobago in many walks of life." "For example, it is BAHS that has given Trinidad and Tobago the Biennial Music Festival, an unrivalled event in the cultural calendar that MHTL supported over its last two cycles. It is a privilege for us to be associated with BAHS’s centenary." Dr Bobb said the donation includes TT$100,000 which will be used as seed money for an Alumni Fund. "We encourage the school to reach far and wide to its alumni to contribute generously to this Fund. As further incentive, MHTL will provide a matching grant for Phases 2 and 3 of the Jubilee Hall project," he said. David Cassidy, Chief Executive of Proman, said the school has made an indelible contribution to society. Joanne Shurland, Principal of Bishop Anstey High School said the contribution is greatly appreciated. 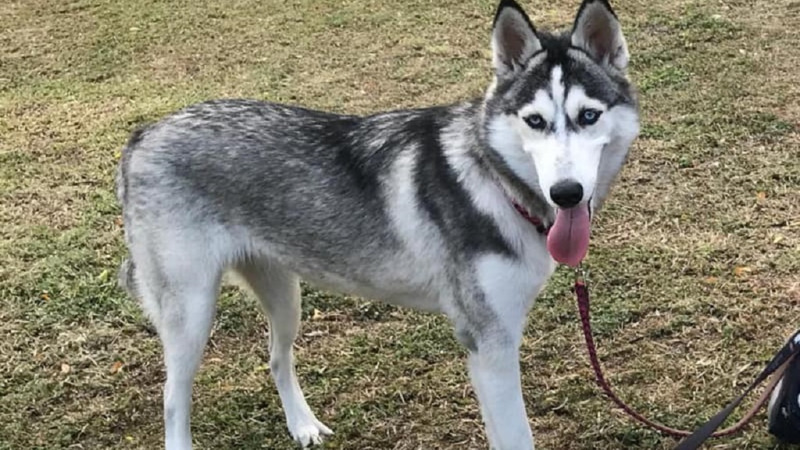 “Our school develops and prepares intelligent young ladies to achieve their highest potential and to meet the challenges of the modern- day world head on. 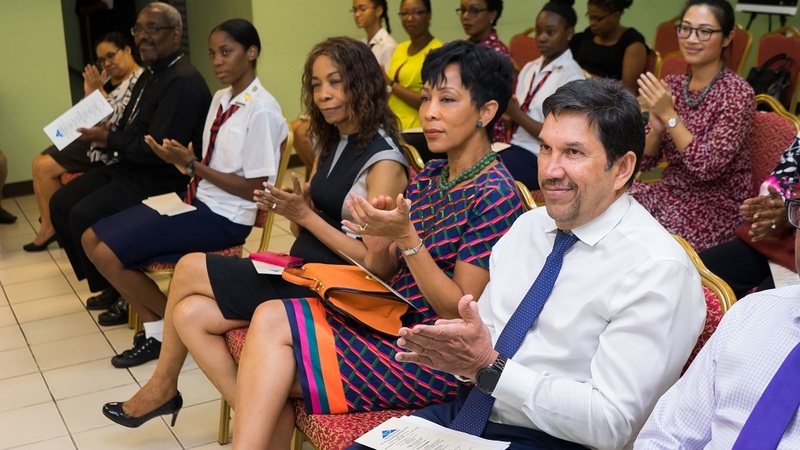 Not only will your Company’s support improve our girls’ learning environment … but it can open doors of opportunity for our students who will be reminded first hand of the ways they can become change agents," she said. The Jubilee Hall Auditorium, built in 1971, is a focal point of BAHS’s community life. It serves as a multi-purpose site for worship, assembly, physical education, and extra-curricular activities. The school said the building has aged significantly and facilities have become outdated. In the first stage of the project, the refurbishment will include a general upgrading of the hall and stage, and installation of new air conditioning. The refurbished hall will become a 'modern comfortable space with state-of-the-art audio-visual and other equipment attuned to the needs of education in the 21st century'. The company said his project builds on the work of the Proman Group in supporting young people’s education in Trinidad and Tobago. 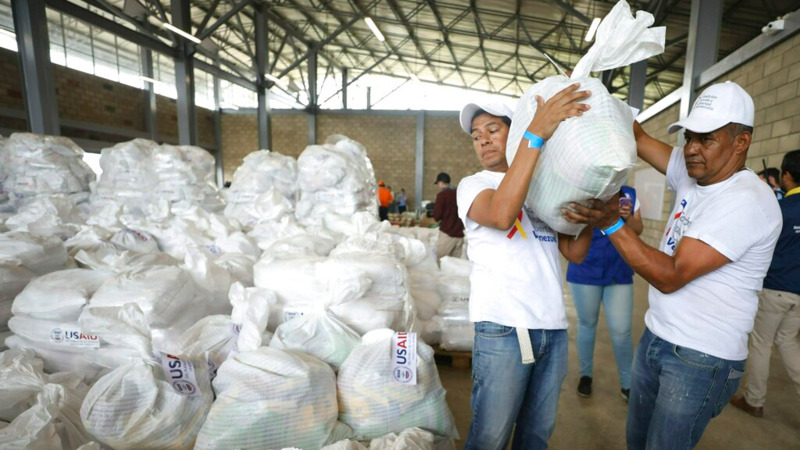 Last month, the Proman Group also worked to rebuild the St. Helena Early Childhood Care & Education Centre which was destroyed by flooding.